Last week, it’s Mediviron UOA big day! They have winged out an excellent clinic -Nexus Clinic. I’ve been blessed to witness the Mediviron UOA aesthetics team work for their patient before aesthetic treatments became a hot topic in Malaysia, and I must say they are a top-notch aesthetic center situated in the heart of KL city. I was invited to Nexus Clinic “birth” party. This new clinic designs look professional with just a touch of elegance. I love their new clinic already! It was a very fruitful and informative day. I’m very grateful to have been invited to the opening to witness how professional aesthetics treatments can be personalized. It’s customized to your needs as aesthetics are not just science and medical procedures but as well as art, wellness and beauty. Basically it’s just the doctors explaining the services and treatments available in Nexus Clinic. The signature treatment and current promotion is for the Zeltiq Cool Sculpting. It’s an alternative for liposuction. The non invasive, non-surgical procedure is an FDA approved body contouring treatment. Basically this is a treatment that helps you lose stubborn fat and tones your body. No anesthesia or surgery. There’s no downtime and no harm to the skin. This device is cool. Sucking your fats and toning down you body. However, the result is not immediate. Continuing on to the machine below, the device provides pigmentation, acne scar treatment, also, face rejuvenation. It’s surprising that one machine can do so many wonders. 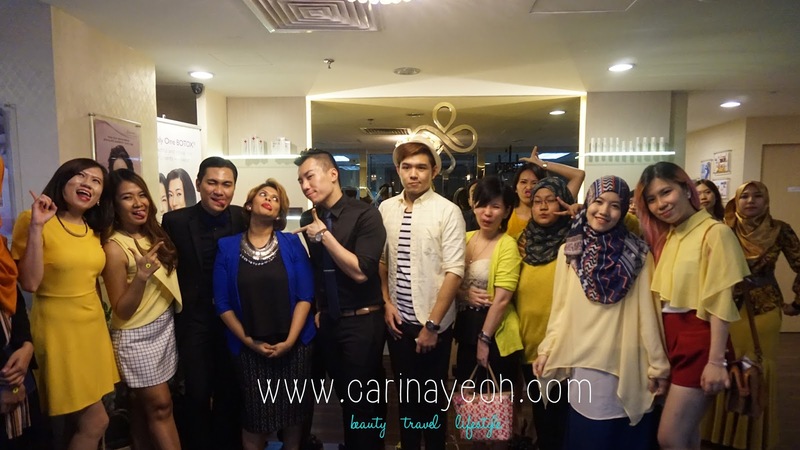 Also, 2 lucky bloggers were given injectable dermal fillers for free. And I’ve always wanted a nose enhancement and I did a lot of research. Nexus Clinic is using the branded and credible filler- Juverderm. There are a lot clinics out there using uncertified fillers and they can cause undesirable side effects so be really sure what they put in to your body! Dermal fillers are also known as hyaluronic acid fillers can also be used to create plumper lips, sharper chins, smooth and reduce wrinkles and lines. I will follow up another blog post on my nose enhancement treatment. Winners for the game section and lucky draw. Also, the best dressed. Group Photo for group3-POWAH! haha!